2007 – UTAir Flight 471 crashes short of the runway in Amara, Russia, while attempting to land in poor weather. The Tupolev Tu-134 (RA-65021) hits the ground 1000ft short and rolls onto its back in flames, resulting in the deaths of 6 passengers among the 57 on-board. 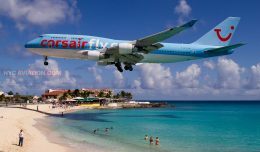 Poor planning and handling of the foggy conditions brings charges of negligence onto the pilots for which the Captain and First Officer were jailed for six and two years, respectively. 2001 – A SAL Express Beechcraft 1900C (S9-CAE) crashes into a mountain in Angola during heavy rainfall, with only one survivor among the 17 onboard. 2000 – AeroPerlas de Havilland DHC-6 Twin Otter (HP-1267APP) crashes into a hill in Kuna Yala, Panama, killing all 10 on the aircraft while on a flight from Panama City to Puerto Obaldia. 1997 – Pilot Linda Finch departs on her journey to complete Amelia Earhart’s 1937 flight around the world in a restored Lockheed Electra 10E. She goes on to complete the flight in 73 days. 1995– An Intercontinental de Aviacion McDonnell Douglas DC-9-15 (HK-3564X) burns in Barranquilla, Coloumbia. Though the aircraft is completed destroyed in the fire, which begins after a short-circuit in the aft lavatory, all passengers survive. 1988 – Avianca Flight 410 strikes terrain at 6,200 ft near Cucuta, Colombia leaving no survivors among the 143 on-board. 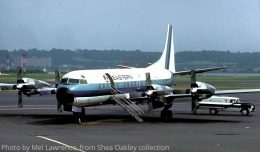 The crash of the Boeing 727 (HK-1716) is the result of an off-duty pilot present in the cockpit and distracting the flight crew. 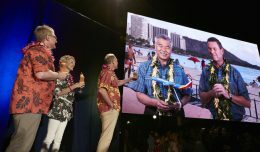 1985 – Southwest Airlines began flights between St. Louis and Chicago. 1979 – An Aeroflot Tupolev Tu-104 crashes in Moska-Vnukovo, Russia, killing all 90 on-board. Blame is placed on the crew for failure to request de-icing before departure in an ice storm. 1976 – Japan Airlines Boeing 747-200 makes the first-ever nonstop flight from Tokyo to New York, covering over 6,700 miles in 11 1/2 hours. JAL wanted to evaluate fuel consumption on the route using a standard 747, as Pan Am was about to launch the route using a new 747SP. According to a Flightglobal report at the time, the JAL 747, carrying 18 tons of freight and no passengers, landed at JFK with 45,000 lb of fuel to spare. 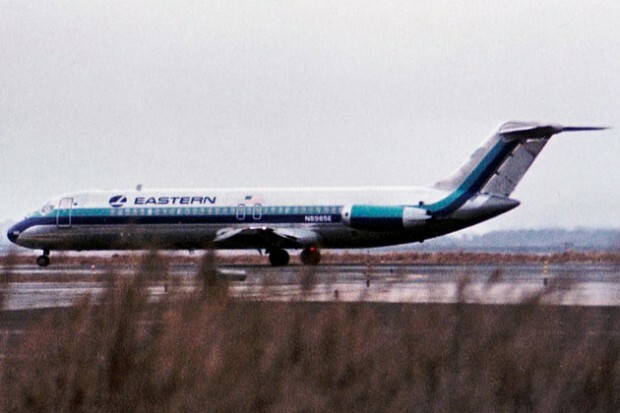 1970 – Eastern Air Lines Shuttle Flight 1320, a Douglas DC-9 (N8925E) enroute from Newark to Boston, is hijacked by a mentally disturbed man named John Divivo shortly after takeoff. Armed with a .38 caliber revolver, Divivo sought to commit suicide by plane, barging into the cockpit and demanding the pilots circle over the ocean until the plane ran out of fuel. First Officer James Hartley Jr. manages to wrestle the gun away from Divivo and shoots him three times, but not before getting shot himself, a wound which would be fatal. Despite being shot three times, Divivo would again attempt to wrestle the plane’s controls away from Captain Robert Wilbur Jr. Wilbur knocks Divivo unconscious with the gun and lands the plane safely at Logan, where Divivo was arrested, only to hang himself in his jail cell a few months later. 1960 – Northwest Orient Airlines Flight 710, a Lockheed L-188 Electra (N121US), crashes in Cannelton, Indiana, killing all 63 aboard. Wing separation and subsequent disintegration of the aircraft spread the wreckage over a very wide area. Multiple theories surround the crash, ranging from a bomb, metal fatigue and severe turbulence as being possible culprits. 1958 – The US Navy launches the Vanguard 1 spacecraft, the first solar-powered satellite and the fourth satellite overall. Its mission is to test the launch capabilities of a three-stage Vanguard launch vehicle, to test the effects of the environment on a satellite and its systems in Earth orbit, and to obtain geodetic measurements through orbit analysis. 1957 – A Douglas C-47 Skytrain crashes into Mount Manunggal in Cebu, Philippines, killing Ramon Magsaysay, the President of the Philippines, along with 23 others of the 25 onboard. The exact cause is unknown, but it is suspected that fatigue in the drive shaft led to the aircraft not having enough power to clear the mountain range. 1947 – The first flight of the North American B-45 Tornado. The aircraft is the United States Air Force’s first jet bomber and the first jet to be refueled in midair. Only 143 were produced after it was replaced fairly quickly by the Boeing B-47 Stratojet. 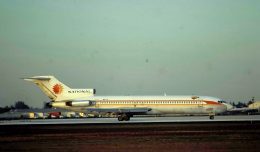 Take a stroll down memory lane with us as we remember a time when a now classic airliner was once so common that it was boring. 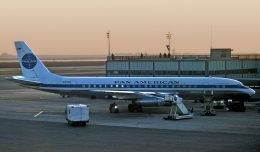 Aviation historian Shea Oakley shares memories from his youth of Eastern Airlines' L-188 Electras and the time he almost got to fly on one.